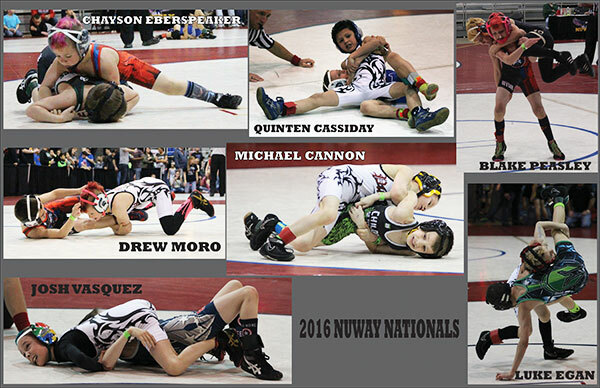 Tag Archive | "Battle Creek"
Seven WMP wrestlers finished in the top 3 at the NUWAY Nationals 2016. Photo by M. Egan. West Michigan Pursuit traveled to the Kellogg Arena in Battle Creek April 9-10 for the NUWAY Nationals 2016. 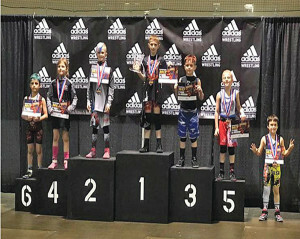 All around, there were some tough wrestlers that came from all over the United States to compete at this event. 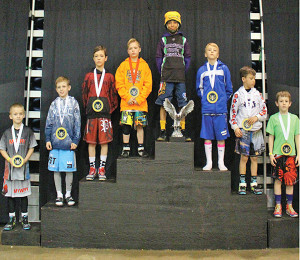 WMP had nine grapplers enter the competition and seven finished in the top three, earning All-American status. Out of 33 battles, 23 victories were claimed. 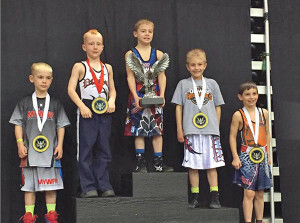 NUWAY Nationals had 458 teams registered and West Michigan Pursuit finished in 11th place. 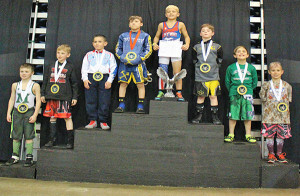 Third place medalists include 58 lb Luke Egan in Division 2, 7/8 age group and 55 lb Drew Moro in Division 1, 6 & under age group. 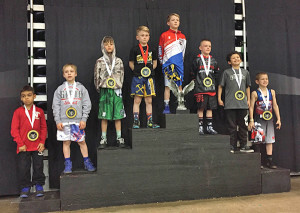 Second place medalists include 55 lb Quinten Cassiday in Division 2, 7/8 age group; 61 lb Chayson Eberspeaker in Division 1, 6 & under age group; 72 lb Blake Peasley in Division 2, 7/8 age group and 55 lb Josh Vasquez in Division 3, 9/10 age group. 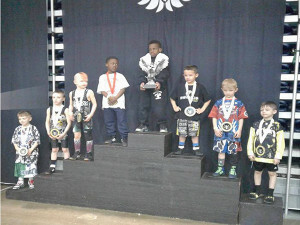 National Champion is 59 lb Michael Cannon in Division 3, 9/10 age group.